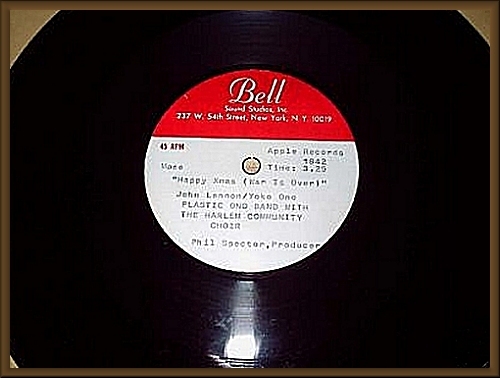 Rare John Lennon 10" acetate 45 rpm cut of Happy X-Mas. From Bell Sound Studios in New York. Some surface marks, but it plays through without any skips, and surprisingly little surface noise.